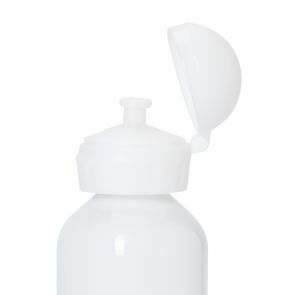 Keep your precious ones well-hydrated throughout their busy day with our terrific Drink Bottles. 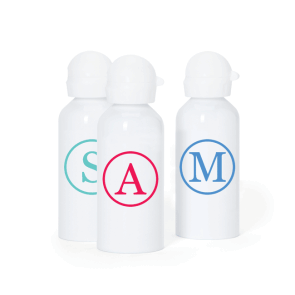 Made from food-grade stainless steel, the personalisation on the bottles help prevent loss as well as removing the risk of children catching drank-from-the-wrong-bottle germs! My kids love stuck on you. We are thrilled to hear your children enjoy our products as we ensure only the best quality in all of our products! Our entire team is very grateful to know that you have enjoyed your first ordering experience with us, and to know you have recommended our services and products to other families whom attend your nursery. We hope you and your son are loving your Stuck on You Drink Bottle! I would like to be able to buy labels that can have options for siblings or multiple names. It's a little frustrating going through the entire procedure for each child. I canceled several previous purchases due to that. We thank you for sharing your feedback with us. I am sorry to hear of your disappointment - As our packs are set quantities (generally quantities of 50 per pack) we can only have one name only per pack. In saying this, if the children have the same surname, we do recommend having a family name printed on the labels sop it is suitable for more than one family member. As an alternative, we do also have Write on labels available! I hope you enjoy your Name labels, bag tags, drink bottles and calendar and hope you come back soon. Thanks again for your review - and thanks for being such a loyal customer. Good quality, durable and beautiful design. I hope you enjoy your Name labels and bag tags and hope you come back soon. Our first Stuck on You drink bottle is still in action after 4 years - the cover on the lid is intact and the spout in excellent condition. These are the hardiest lids I've come across and they fit other similar products. Excellent value for money.